Each year we see a large flow of tourists from all round the globe. Though, the recession hit hard the tourism department, in the year 2010 much higher number of figures is expected for the tourism department due to the Common Wealth Games. Due to the ever rise in demands, the number of Travel Agents have increased significantly. They can be easily contacted through the internet. Let's know more about ITS. ITS- One of the Best Known Travel Agent & India Tour Operators. 'ITS'- one of the biggest names in travel and tourism . It has several branches in major cities. These branches run in collaboration with the best hotels of the area. We are also associated with some of the best names in the road transportation. The itineraries are thoughtfully made. We try to carefully put all the important things with tourism aspect at one place. We arrange the meals in some of the best restaurants of the area. We try our best to satiate the demands of different sectors of people. We have itineraries for adventure tour, for cultural tour, wild life tour, medical tour, hill station tour, beach tour and many more. You can choose from the entire list. We have also made itineraries on the basis of selective states which are important from the tourism aspects with full of amazing discoveries and colourful memories. ITS value your precious suggestions. You are always welcome with your free, yet valuable suggestions and tips of any kinds. Our name is growing by the day due to our hospitality services. We are open 24*7 for 365 days an year. You can contact us through phone or chat or through emails. We try our best to fulfill the demands of our customers regarding any thing that matters to them. Growing name among Travel Agent. 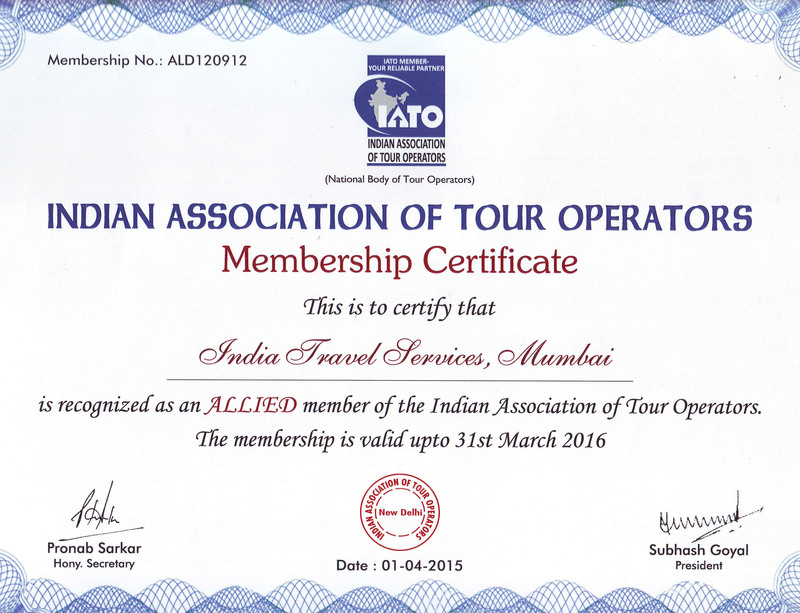 We, one of the best tour operators & are definitely into learning and growing through our customers. Welcome to our home to satiate your quest of knowledge and tourism. Our rates are very competitive. We will provide you local guides to accompany you in your tour. You should book early for your holidays, especially in peak seasons. Doing this will allow you to find more options for your hotel bookings at much lower rates than in peak seasons. Book with us to enjoy your precious holiday moments and take home a cherish-able memory.